November is around the corner. That means all you orange lovers will once again get to see and savour, those orbs that will colour the markets golden. Just holding one in your hand you get that endearing whiff of sweet, orangey scent. Dig your thumb into the depression atop its skin to peel it off, a familiar and pleasant citrusy aroma hits you to a mouth-watering frenzy. Oranges are among the most loved, and widely accepted, fruits in the world and the Khasi mandarin is the king of them. Good news is you get to enjoy them even till late March. How Unique Is the Khasi Mandarin? Northeast India sits right in the middle of the Indo-Burma biodiversity hotspot, one of the 25 biodiversity hotspots of the world today. Its flora and fauna are among the richest though, unfortunately, most endangered for survival. The region is significant in that is it also the original home or primary gene centre of the world’s Citrus species of crops, among which the most famous is the Khasi mandarin orange (Citrus reticulata Blanco, of the Rutaceae family). That’s how unique the fruit is, lasthe first fruit of the soil, from where growers take it the world over. Find out what is unique about Meghalaya and the potential of the land. Called Soh Niamtra or Soh Myntra in Khasi (Komola or Humoptira in Assamese; Komla in Bengali) the Khasi mandarin is widely cultivated in Meghalaya, Assam and the other North-eastern States. It has high nutritional value, distinctive quality and taste, vibrant golden fruit colour and sweet tanginess. What’s more, it ranks amongst the most loved oranges in the world, the king of oranges in fact. In Shillong, they call it ‘Soh Sohra’ to signify its place of origin (Sohra), though not a tree is found there. Probably this is because earlier Sohra was the trade hub of the fruit from the southern slopes of the Khasi Hills. 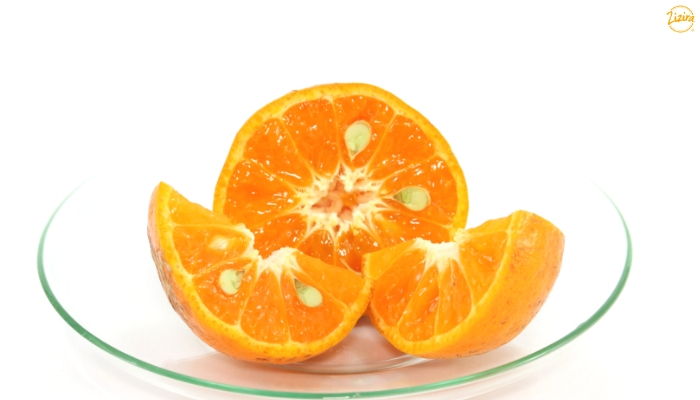 Meghalaya is the major producer of this orange, tagged as its most important commercial fruit, both in the northern and southern slopes of the State. The ones grown in the south are sweeter and more sought for. In 2014 the Meghalaya Government succeeded in obtaining the Geographical Identification (GI) tag for the Khasi mandarin, which is definitely promoting the fruit’s uniqueness in domestic and international markets. This fruit has contributed to the socio-economic development of the region in no small way. The trees are small, erect and evergreen. They start bearing fruits in 3-5 years from planting, although full fruit yield happens only after eight years. The trees need meticulous care: periodic manuring, pruning and clearing of weeds from the root base, as well as irrigating and mulching. They hate the cold, so need protection in winters. Branches are somewhat brittle, often needing support as they frequently snap under the heavy weight of fruits. There are two ways of propagating Khasi mandarin trees: (i) from rootstocks by seed and (ii) by vegetative means such as T-budding and wood grafting. Traditionally the Khasi mandarins grown here are from seed though the latter method is more preferred now: it ensures faster growth, better fruit bearing and uniform quality. Whatever the choice, growers take care that the mother plant originates from an authentic source that has vigorous growth and disease-free quality. 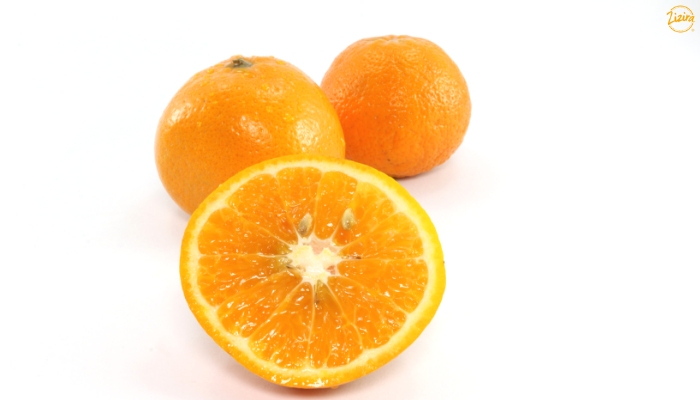 The Khasi mandarin orange makes for 43.6% of the total citrus fruits produced in India. 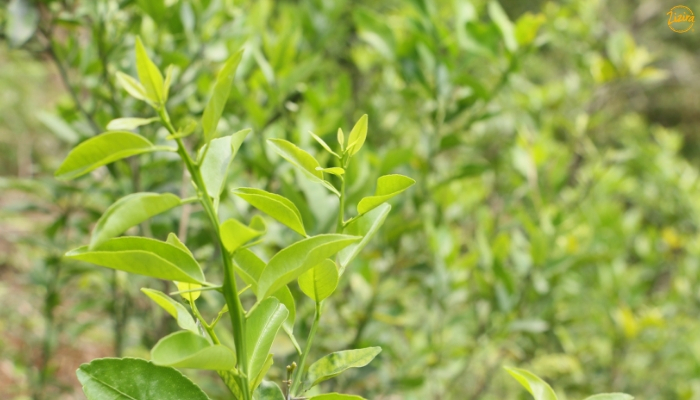 Its orchard area is close to 38.2% of citrus orchards in the country. India is the world’s fourth-largest orange producer, a feat that makes the Khasi mandarin a commodity of no mean economic importance. What distinguishes the Khasi mandarin orange from other oranges is its smooth and tight skin which is more difficult to peel. The peel is 3-3.5 mm thick, orange-yellow to bright orange in colour. Fruit is slightly bigger than a tennis ball, weighing between 134-150 g and sizing 60-70 mm in diameter. The average number of segments is 8 to 10 with 18-20 seeds per fruit. The matured fruits have a juiciness of 45% with 0.6-0.7 % citric acid, making it one of the sweetest and most aromatic oranges. Once tasted it stays a clear favourite forever. In Meghalaya, Khasi mandarins are second in importance only to bananas. Consume them any which way you like — fresh, as fruit salad, or as juice. Or make jams, jellies, marmalades, pulp concentrates and squashes. Orange citrus oil is another important product for flavouring. The indigenous Khasis believed the mandarin to be a fruit that dispels anger. If offences were committed, the fruits are gifted to the offended party to make up. In fact, the Khasi mandarin has a load of bioactive compounds with many health benefits. Healers have traditionally utilized it as a cure that recent experiments have empirically proven to be true. In our younger days, our grandma would regularly bring the fruits by the dozen of us children to eat. Besides their divine taste, grandma said they prevent colds and constipation. This must be quite true, because we hardly suffered from coughs and colds, and we don’t remember our bowels bothered us that much. The fibres on the fruits provide the mass that eases bowel movement, said our unlettered grandma. We never threw the peels away. We kept some in trunks and cupboards, to drive off moths and give our garments a beautiful citrusy scent. Other peels became fire kindlers. Those days we used firewood in our kitchens. Orange peels made perfect fire starters. According to grandma the moisture in the peels contains oils that work as astringent for the skin and keeps away pimples. Sometimes we would squish the moisture off the peels right onto each others’ eyes, as pranks, of course. That stung for a while but grandma said those are oils that are good for our eyesight. Research has now revealed the presence of many bioactive compounds like Maltol which is anti-convulsion, anti-fatigue, antioxidant, anti-tumour, cancer preventive; Glycerol which is anti-cataract, anti-neuralgic, and other compounds that prove to have anti-microbial, anti-bacterial, anti-viral, anti-inflammatory, hyperglycaemic and many medicinal properties. 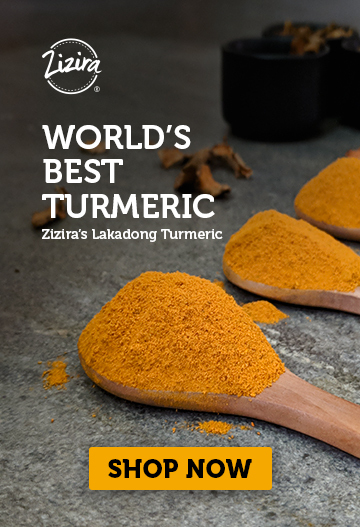 No wonder the fruit, including the peel, pulp, bark, flowers, seeds, is used by traditional healers and in Ayurveda and traditional medicine of China, Vietnam, Malaysia, and Ecuador to treat numberless ailments. The mandarin has Vitamins E, B complex, amino acids, flavonoids and minerals like iron, magnesium, phosphorus, zinc, selenium and many others. Oranges are not only rich in Vitamin C, but they also contain antioxidants like beta-carotene to fight free radicals, magnesium to keep blood pressure in check, dietary fibre to regulate the digestive system, amino acids, and phytonutrients that help keep body health in shape. It makes sense, therefore, to include fruits in your diet. Now that oranges are just a month or so away from the season, isn’t it time for you to think Khasi mandarin from now on? Fresh fruit is best but value-added and packaged will also do. 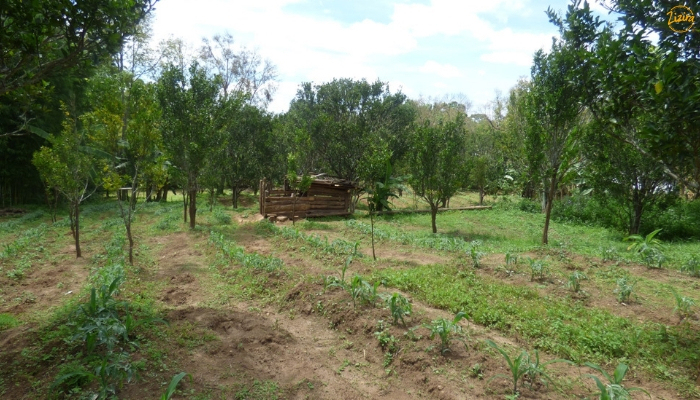 We at Zizira are always at work exploring, discovering how our farmers toil to grow their produce. Their Khasi mandarins come from trees that grow from saplings, transplanted in a unique way facing the direction the saplings face at germination, so the fruits have the taste unique no oranges have.